The Circuit is a chance for Magnet students to play on teams of their very own for a limited run of shows at the Magnet Studio Theater at the Training Center. It's an awesome way to work weekly with an ensemble and coach as well as get more reps under your belt. We highly recommend it! Circuit teams are chosen by a lottery - to enter, all you have to do is fill out the application form. Look closely to be sure you're filling out the right application for the kind of team you'd like to join! The deadline to apply will be noon, April 18, 2019. Please refer to each individual form for additional key dates. 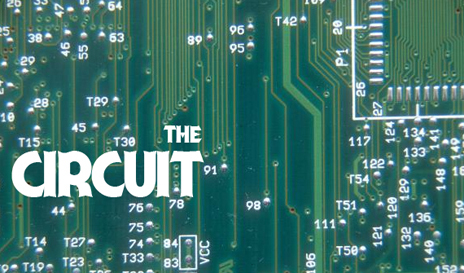 If you have any questions, please email Jacob Horn at Circuit@MagnetTheater.com. –Read the application closely to be sure you're applying for the right team and that you meet the class requirement for eligibility! –Do not call or email registrar regarding application status. –Circuit performers may miss no more than 3 shows or practices. –Performers are expected to rehearse with their assigned team and coach on a weekly basis. –Performers are responsible for the cost of coach and space rentals (and accompanists, for musical teams).